​designed to control the most complex and high profile shows, while retaining an intuitive and simple to use interface - is the flagship in the range of hog consoles. 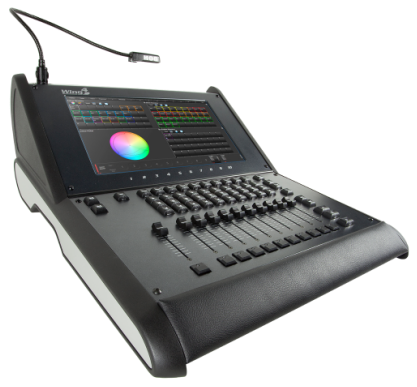 the hog 4 lighting console embraces the latest technology, while retaining its familiar control surface. users can walk up to the hog 4 and start programming without having to learn a new interface. the new encoders, jog shuttle wheel, lcd keys, motorized faders and integrated keyboard enhance this experience, making the hog ' completely customizable. you can now have all the most important attributes on hand at any time! THE FULL BOAR 4 CONSOLE IS THE MID-LEVEL CONSOLE WITH THE PUNCH OF A TOP END UNIT, ALLOWING VAST EXPANSION CAPABILITIES. ALL THE POWER OF THE HOG 4 IN A MORE COMPACT PACKAGE, WITH SLEEK LINES, RAKED SCREENS AND FAMILIAR LAYOUT. LIKE ITS PREDECESSOR IT ALLOWS FOR TOTAL EXPANSION ENABLING YOU TO CREATE, MANAGE, EDIT AND PLAYBACK ALL TYPES OF SHOWS BE THEY IN A LOCAL THEATRE OR ON THE LARGEST ARENA STAGES. THE FULL BOAR 4 COMES PACKED WITH THE LATEST HARDWARE - MOTORIZED FADERS, A SOLID STATE HDD AND LCD USER KEYS. WITH FEATURES LIKE THESE, THE FULL BOAR 4 IS READY FOR THE SHOWS OF THE FUTURE AS WELL AS THOSE JUST AROUND THE CORNER. THE ROAD HOG 4 IS UNPARALLELED IN THE INDUSTRY - ALLOWING FULL EXPANSION. ​IT IS ALSO THE MOST AFFORDABLE HOG CONSOLE IN A GENERATION! THE CONSOLE LAYOUT REMAINS FAMILIAR, WITH ONLY MINOR CHANGES ALLOWING FOR THE MORE COMPACT CHASSIS. THE USER WILL STILL BE ABLE TO WORK ACROSS ALL OF OUR PLATFORMS WITHOUT SACRIFICING ANY TIME. HEDGEHOG 4 CONSOLES ARE THE LITTLEST OF THE RANGE AND STILL PACK QUITE A PUNCH. HEDGEHOG 4 SERIES IS RUNNING THE SAME SOFTWARE AS ALL THE OTHER HOGS AND EVEN COMES WITH ARTNET AND CITP CAPABILITIES. DESIGNED FOR SMALL TO MID-LEVEL SHOWS, IT IS COMPACT, LIGHTWEIGHT AND EASY TO TAKE ON A PLANE! RUNNING ON LINUX, IT IS FAST, STABLE AND READY TO HOG. 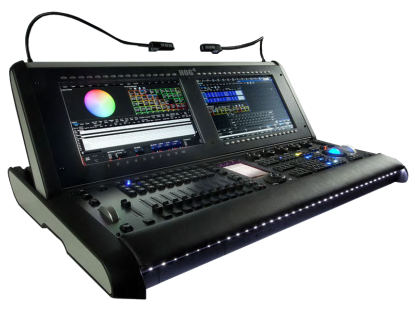 WHETHER BEING USED IN A SCHOOL THEATRE, NIGHTCLUB, CORPORATE EVENT, MEDIUM SCALE RENTAL JOB OR HOUSE OF WORSHIP, THIS IS THE PERFECT CONSOLE. IT RETAINS THE SAME PROGRAMMING LAYOUT AS ITS LARGER BROTHER, THE ROADHOG 4, AND IS ABLE TO LOAD SHOOFLIES FROM ANY OF THE RANGE (AND VICE VERSA). ALL THIS MAKES HEDGEHOG 4 THE MOST FLEXIBLE AND EASY-TO-USE COMPACT CONSOLE. IN ADDITION ALL HEDGEHOG 4'S WILL NOW INCLUDE A LICENSE FREE LIGHT CONVERSE STATE-OF-THE-ART LIGHTING VISUALIZER! FOR THE FIRST TIME IN THIS SEGMENT OF THE LIGHTING CONTROL MARKET, YOU WILL BE ABLE TO BUY THE PLATFORM WHICH IS RIGHT FOR YOUR CURRENT APPLICATION, AND ABLE TO UNLOCK ADDITIONAL FEATURES WHEN NECESSARY WITHOUT THE NEED TO INVEST IN NEW HARDWARE. WITH THE USE OF A SOFTWARE CODE PURCHASED FROM HIGH END SYSTEMS OR ONE OF OUR DEALERS, YOU CAN NOW MOVE FROM ANY VERSION TO A HIGHER MODEL. 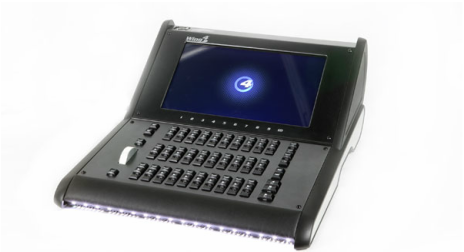 HEDGEHOG 4N WILL, IN ADDITION TO THE STANDARD HEDGEHOG 4, MAKE A PERFECT REMOTE FOCUS AND DIMMER CITY CONSOLE, WITH ITS ABILITY TO NETWORK WITH THE BIGGER HOGS IN THE FLEET. HEDGEHOG 4S WILL ADD AN EXTERNAL DISPLAY OPTION TO THE BASE UNIT ALLOWING FOR INCREASED WORKSPACE. HEDGEHOG 4X IS THE TOP OF RANGE COMBINING BOTH THE FEATURES OF THE N AND THE S IN ONE PACKAGE ALONG WITH ADDING A FURTHER 2 UNIVERSES OF DMX OVER ARTNET OR SACN. HOG 4 PC BRINGS YOU THE CONVENIENCE AND POWER OF THE HOG 4 OPERATING SOFTWARE RUNNING ON YOUR PC. OUTPUT ART-NET DIRECTLY FROM HOG 4 PC WITH ANY HOG WIDGETS ATTACHED! HOG 4 PC TRANSFERS THE FUNCTIONALITY OF HOG LIGHTING CONSOLES TO YOUR PERSONAL COMPUTER. CREATE YOUR OWN CONTROL SOLUTION TO MEET YOUR PARTICULAR REQUIREMENTS AND BUDGET. 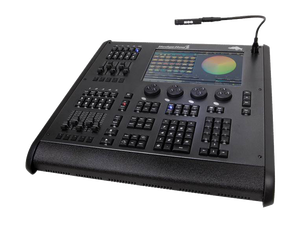 HOG 4 PC OFFERS A COST EFFECTIVE AND FLEXIBLE SUITE OF SOFTWARE AND HARDWARE COMPONENTS THAT COMBINE TO PRODUCE THE SYSTEM YOU NEED: FROM THE FREE HOG 4 PC SOFTWARE FOR VIEWING AND EDITING HOG 4 OS SHOWS THROUGH TO A FULLY FLEDGED DMX CONSOLE. USE A LAPTOP FOR A LIGHTWEIGHT PORTABLE SYSTEM OR A DESKTOP FOR INSTALLATIONS, RACKMOUNT, OR TABLET PC; IT'S UP TO YOU! HOG 4 PC IS THE IDEAL BACKUP SOLUTION AND PERFECT FOR AUTOMATED PLAYBACK IN RETAIL AND ARCHITECTURAL APPLICATIONS. ​A HOG IN A BOX! 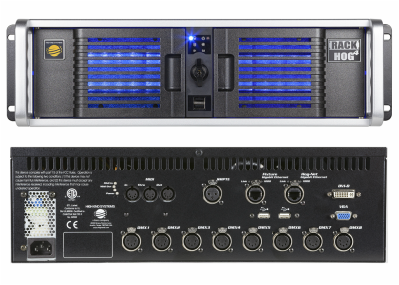 RACK HOG 4 HAS ALL THE POWER OF A HOG 4 CONSOLE CONDENSED INTO A 3U RACK MOUNT UNIT MAKING IT THE IDEAL SOLUTION FOR FIXED INSTALL APPLICATIONS SUCH AS CRUISE SHIPS, THEME PARKS AND ARCHITECTURAL INSTALLATIONS. RACK HOG 4 IS ALSO PERFECT SUITED TO OPERATE AS A BACKUP TO ANY HOG 4 FAMILY CONSOLES. PLUG A HOGLET 4 INTO THE RACK HOG 4, ADD A TOUCH SCREEN AND YOU HAVE A POWERFUL CONTROL SYSTEM READY TO TAKE ON ANY SHOW. PERFECT FOR THOSE APPLICATIONS WHERE PERMANENT HARDWARE INTERFACES ARE NOT NECESSARY THIS HOG IS PERFECT FOR PROGRAM AND LEAVE SITUATIONS. RACK HOG 4, LIKE THE OTHER CONSOLES IN THE HOG 4 FAMILY, RUNS ON LINUX AND IS COMPATIBLE WITH ALL OF THE SAME PERIPHERAL HARDWARE. RACK HOG 4 HAS NO LIMITS, AND IS FULLY EXPANDABLE IN CONJUNCTION WITH DMX PROCESSOR 8000'S. TURNS A LAPTOP OR DESKTOP INTO A FULLY FLEDGED, POWERFUL AND INTUITIVE LIGHTING CONSOLE. 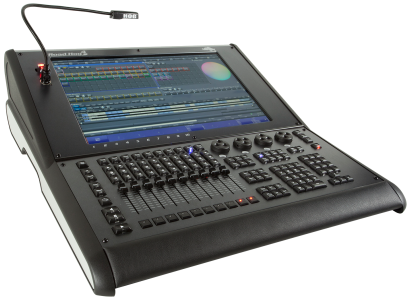 COUPLED WITH HOG 4 PC, THE HOGLET 4 WING PROVIDES THE USER WITH A SINGLE UNIFIED SURFACE, TURNING A LAPTOP OR DESKTOP INTO A FULLY-FLEDGED, POWERFUL AND INTUITIVE LIGHTING CONSOLE. ANY COMPUTER RUNNING HOG 4 PC CAN CONNECT TO THE HOGLET 4 OVER USB CREATING A STATE-OF-THE-ART CONTROL SURFACE. UTILIZING A SIMILAR FRONT PANEL TO ALL HOG 4 PRODUCT USERS WILL FEEL RIGHT AT HOME. THE MAIN PLAY COLUMN HAS ALSO BEEN MOVED BACK TO THE MORE TRADITIONAL CENTER OF THE WING. THE MINI WING 4, WITH ITS ULTRA-COMPACT AND SLEEK STYLING IS EQUALLY AT HOME NEXT TO A CONSOLE OR AS PART OF A STANDALONE HOG 4 PC SYSTEM. IT PROVIDES 10 ADDITIONAL FADERS, FOR THE HOG 4, FULL BOAR 4, ROAD HOG 4 AND HOG 4 PC SOFTWARE. MINI WING 4 USES THE SAME HIGH QUALITY CONTROLS AS FOUND IN THE HOG 4 RANGE OF CONSOLES, ENSURING RESPONSIVE AND RELIABLE OPERATION. ONE HOG LED DESK LIGHT IS SUPPLIED, FULLY DIMMABLE AND SOFTWARE CONTROLLABLE. THE MASTER WING 4, WITH ITS EVOLUTIONARY STYLING IS EQUALLY AT HOME NEXT TO A CONSOLE OR AS PART OF A HOG 4 PC SYSTEM. IT PROVIDES 30 ADDITIONAL FADELESS PLAYBACK CAPABILITIES FOR THE HOG 4, FULL BOAR 4, ROAD HOG 4 AND HOG 4 PC SOFTWARE. MASTER WING 4 USES THE SAME HIGH QUALITY CONTROLS AS FOUND IN THE HOG 4 RANGE OF CONSOLES, ENSURING RESPONSIVE AND RELIABLE OPERATION. ONE HOG LED DESK LIGHT IS SUPPLIED, FULLY DIMMABLE AND SOFTWARE CONTROLLABLE. ​A 15.6" WIDE SCREEN WITH 10 POINT MULTI TOUCH IS INTEGRATED IN THE WING ALLOWING YOU TO EXPAND YOUR CONSOLE USING ON INTEGRATED UNIT. THE PLAYBACK WING 4, WITH ITS EVOLUTIONARY STYLING IS EQUALLY AT HOME NEXT TO A CONSOLE OR AS PART OF A HOG 4 PC SYSTEM. 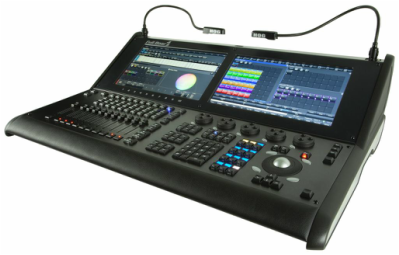 IT PROVIDES 10 ADDITIONAL FADERS PLUS ONE GRAND MASTER, ALLE MOTORIZED, FOR THE HOG 4, FULL BOAR 4, ROAD HOG 4 AND HOG 4 PC SOFTWARE. PLAYBACK WING 4 USES THE SAME HIGH QUALITY CONTROLS AS FOUND IN THE HOG 4 RANGE OF CONSOLES, ENSURING RESPONSIVE AND RELIABLE OPERATION. ONE HOG LED DESK LIGHT IS SUPPLIED, FULLY DIMMABLE AND SOFTWARE CONTROLLABLE. A 15.6" WIDE SCREEN WITH 10 MULTI TOUCH IS INTEGRATED IN THE WING ALLOWING YOU TO EXPAND YOUR CONSOLE USING ONE INTEGRATED UNIT. THE DMX PROCESSOR 8000 ADDS EXTRAORDINARY DMX PROCESSING CAPABILITIES TO THE HOG LINE! WITH NO COMPROMISE TO FLYING PIG SYSTEMS' EXACTING STANDARDS, ITS LONGEVITY, QUALITY AND INNOVATION ARE ASSURED TO SET NEW STANDARDS. THE HOG DMX PROCESSOR 8000 PROVIDES THE OUTPUT POWER FOR THE HOG SYSTEMS. 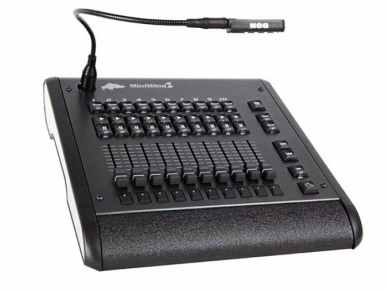 THE HOG OPERATION SYSTEM DOESN'T LIMIT YOU TO A FIXED NUMBER OF DMX CHANNELS - JUST ADD AS MANY DMX PROCESSOR 8000'S AS NEEDED (ALONG WITH AN ETHERNET-SWITCH) TO SUPPLY THE SPECIFIED NUMBER OF DMX UNIVERSES FOR THE PRODUCTION OR INSTALLATION. WITH AN UNPRECEDENTED AMOUNT OF COMPUTING POWER, THE DMX PROCESSOR 8000 MANAGES 16 DMX UNIVERSES WITH EASE WHILE EXPANDING THE POWER AND RELIABILITY OF THE WHOLEHOG CONTROL SYSTEM AS A WHOLE. BY PROVIDING STANDARD XLR, ART-NET AND E1.3.1 (SACN) OUTPUT AT A STEADY RATE, THE POSSIBILITIES FOR LIGHTING DESIGN ARE TRULY ENDLESS. 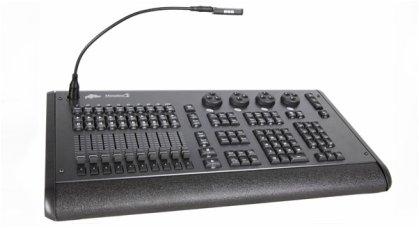 IN TANDEM WITH HOG 4OS PRODUCTS, THE DMX PROCESSOR 8000 NOW SUPPORTS TIMECODE INPUT. UP TO 8 USB MIDI/LTC WIDGETS CAN BE PLUGGED INTO THE DP8000. EACH INPUT IS CONSIDERED AN "INDEX" AND CAN BE USED TO BRING UP TO 8 UNIQUE TIMECODE CLOCKS INTO THE HOG 4OS CONTROL SYSTEM THROUGH THE DP8000. PACKAGED IN A SLEEK, 19 INCH RACKMOUNTABLE PACKAGE, THE USB DMX SUPER DUPER WIDGET PROVIDES 8 UNIVERSES OF DMX 152 OUTPUT FROM ANY HOG 4OS CONSOLES (EXCEPT ROAD HOG 4 WHERE IT WILL ONLY ALLOW 4 UNIVERSES) AND ANY HOG 4 PC. WHEN USED IN CONJUNCTION WITH HOG 4 PC SOFTWARE, 1 DMX SUPER DUPER WIDGET MAY BE CONNECTED TO PROVIDE 8 FULL UNIVERSES OF DMX 512. THIS CONFIGURATION PROVIDES AN EXCELLENT SOLUTION FOR BACKUP AND PLAYBACK ONLY APPLICATIONS. BY ADDING HOGLET 4, PLAYBACK WING 4 AND MASTER WING 4, USERS CAN CONFIGURE POWERFUL CONTROL SOLUTIONS THAT PRECISELY SUIT THEIR NEEDS AND BUDGETS. FOR HOG 4 PC USERS, ATTACHING THE USB DMX SUPER DUPER WIDGET ALSO UNLOCKS 8 UNIVERSES OF DMX OVER ART-NET AND E1.3.1 (SACN). 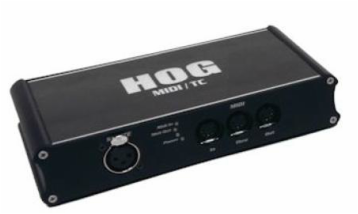 PACKAGED IN A SLEEK, BLACK METAL PACKAGE, THE WHOLEHOG USB MIDI/LTC WIDGET PROVIDES A SINGLE LINEAR TIMECODE INPUT AND MIDI IN/OUT/THRU FOR ANY HOG 4OS CONSOLES AND ANY HOG 4 PC. WHEN USED IN CONJUNCTION WITH HOG 4, FULL BOAR 4, ROAD HOG 4, THE MIDI/LTC WIDGET PROVIDES A POWERFUL LEVEL OF TIMECODE FUNCTIONALITY. YOU ARE NOW ABLE TO CONNECT UP TO 8 MIDI/LTC WIDGETS TO YOUR CONSOLE OR DMX PROCESSOR 8000, ALLOWING FOR MULTIPLE TIMECODE SOURCES TO BE BROUGHT INTO THE CONSOLE. BY ADDING MORE DMX PROCESSOR 8000'S YOU WILL BE ABLE TO EXPAND THIS FURTHER. THIS CONFIGURATION PROVIDES AN EXCELLENT SOLUTION FOR BACKUP AND TIMECODED PLAYBACK-ONLY APPLICATIONS. IN ADDITION, THE MIDI IN/OUT/THRU ALLOW DIRECT CONNECTION OF MIDI FOR SHOW CONTROL AND BACKUP PURPOSES. PACKAGED IN A SLEEK, BLACK METAL CASING, THE USB DMX SUPER WIDGET PROVIDES 4 UNIVERSES OF DMX 152 OUTPUT FROM HOG 4OS CONSOLES AND ANY HOG 4 PC. UP TO 2 DMX SUPER WIDGETS MAY BE CONNECTED AT ONCE VIA A USB HUB TO PROVIDE 8 FULL UNIVERSES OF DMX 152 TO THE HOG 4, FULL BOAR 4 AND HOG 4 PC. ONLY ONE DMX SUPER WIDGET CAN BE CONNECTED TO THE ROAD HOG 4. THIS CONFIGURATION PROVIDES AN EXCELLENT SOLUTION FOR BACKUP AND PLAYBACK ONLY APPLICATIONS. BY ADDING HOGLET 4, PLAYBACK WING 4 AND MASTER WING 4, USERS CAN CONFIGURE POWERFUL CONTROL SOLUTIONS THAT PRECISELY SUIT THEIR NEEDS AND BUDGETS. FOR HOG 4 PC USERS, ATTACHING THE DMX SUPER WIDGET ALSO UNLOCKS 4 UNIVERSES OF DMX OVER ART-NET AND E1.3.1 (SACN). PACKAGED IN A SLEEK, BLACK METAL PACKAGE, THE WHOLEHOG USB DMX WIDGET PROVIDES A SINGLE UNIVERSE OF DMX 152 OUTPUT FROM ANY HOG 4OS CONSOLES AND ANY HOG 4 PC. UP TO 8 DMX WIDGETS MAY BE CONNECTED AT ONCE VIA A USB HUB TO PROVIDE 8 FULL UNIVERSES OF DMX 512 TO THE HOG 4, FULL BOAR 4 AND HOG 4 PC. ONLY 4 DMX WIDGETS CAN BE CONNECTED TO THE ROAD HOG 4. FOR HOG 4 PC USERS, ATTACHING 1 DMX WIDGET ALSO UNLOCKS 1 UNIVERSE OF DMX OVER ART-NET AND E1.3.1 (SACN). USERS CAN CONNECT UP TO 8 TOTAL DMX WIDGETS TO HOG 4 PC TO UNLOCK A TOTAL OF 8 ART-NET AND SACN UNIVERSES.